The latest news, analysis and information on Disneyland Paris in a family friendly short cast. DLRP Roundup produces crowd forecasts and wait time analysis based on live data from Disneyland Paris. The fansite is part of the official Disneyland Paris ‘Inside Ears’ program. We explore today’s breaking news of Star Wars Galaxy’s Edge and what it means for Paris. The theming of the lands and the food served on the tables. How we can expect the parks to grow and what this development tells us about the future in Disneyland Paris. Brochure 2019-2020 Review - Disneyland Paris 2019-2020 Confirmed Information at Disneyland Paris - Brochure Review We delve deep into looking at the 2019-2020 brochure of Disneyland Paris for any clues to content and happening in the resort. We look at Rock n Rollercoaster to see if this fan favourite will survive the year. 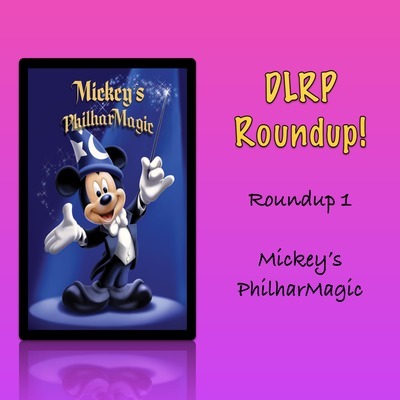 We look at maps for Philharmagic, the various stages and theatres, a quick look at the seasons of the year and offer some thoughts and opinions on the pricing and actives available. We comment on the hotel pricing and availability given the closure of the Hotel New York and its transformation into the new Marvel hotel. Big changes coming. Illuminations confirmed till 2020. Colonel Hathis becomes Character Dining - All in this special episode. Illuminations to 2020 confirmed, Hotel New York out, Rock n Rollercoaster overhaul, new character dining restaurant, all in this episode where we take a deep look at the new Disneyland Paris brochure! Halloween 2018 at Disneyland Paris Halloween Season 🎃 Mickeys Halloween Celebration It’s good to be bad - castle stage show Meet and greets with Disney villains PARTY!!!!! SOIREEE!!!! 👻 Party entry is at 5pm Party starts at 8pm Party kicks out at 2am Be dazzled by the unmissable The Disney Villain's Halloween Celebration. Don’t miss this. special parade. Two stunning shows: Rock on with Disney Villains! and BIG HERO 6: YOKAI'S REVENGE with the exclusive presence of Baymax! Join Goofy and Max for an unforgettable Goofy’s Skeletoon Street Party. Enter the Halloween fair and dance all night surrounded by performances on the stages all around you!. If you're brave enough, journey to Adventure Isle. Skull Rock and the lagoon are covered in an eerie evil fog. Look out for dead pirates, zombies, and creepy creatures. Enjoy music at Disneyland Park with Dj Don Diablo!